The music executives hobnobbing with Ed Sheeran and Selena Gomez at an industry party one recent November night knew the enemy was in their midst. Susan Wojcicki runs YouTube, the site that’s let millions of fans listen to their favorite songs without paying a dime. But Wojcicki, a 49-year-old Silicon Valley insider, was at the soiree to extend an olive branch. Escorting her around the room and introducing her to Mary J. Blige and Camila Cabello was her guide, the man YouTube has entrusted with mending its ties to record labels and artists: veteran label executive and manager Lyor Cohen. Weeks later, YouTube had new revenue-sharing agreements with the two biggest labels, deals it needed to launch a subscription music service in 2018 to compete with Spotify and Apple Inc. Negotiations had been underway for months, but Cohen felt Wojcicki’s presence in Los Angeles would underscore YouTube’s commitment to the music industry. If Cohen is successful, he could solidify YouTube’s place as one of the major tech companies shaping the music industry’s future. Apple and Amazon.com Inc. have also staked their claims with streaming services and music-friendly devices. Spotify filed documents last month to publicly list its stock on the New York Stock Exchange, giving investors a way to participate directly in the growth of music streaming. Cohen, 58, came of age in the New York music scene of the 1980s as a road manager for Run DMC and helped guide hip-hop into the mainstream representing acts such as A Tribe Called Quest and Jay-Z. Brash and opinionated, the 6-foot-5-inch executive feeds off conflict. In 2012, after he resigned as the creative head of Warner Music Group, he founded the label 300 Entertainment, named after the band of Spartan warriors who fought at the Battle of Thermopylae. He joined YouTube in 2016, taking on a job that guaranteed confrontation. Label executives describe their counterparts at YouTube as leeches who hide behind archaic copyright laws and extract billions from their artists. “The labels thought it was a cruel April Fool’s joke,” said Irving Azoff, manager to Christina Aguilera and John Mayer. The centerpiece of Cohen’s efforts is the paid subscription service. YouTube is the internet’s most popular video site and one of the most important promotional tools for artists. But advertising-supported music streaming accounts for less than 7 percent of U.S. music industry revenue. If Cohen can train some of YouTube’s billion monthly users to pay for a subscription, he would open up a new financial spigot for the music business. Though Cohen rose through the ranks at two major record labels, he’s known more for discovering talent than for corporate wheeling-and-dealing. He signed Dr. Dre’s stepbrother, neglected by Death Row Records, and turned him into Warren G, platinum-selling rap superstar. To help Warren G, he promoted Julie Greenwald, his former assistant, who grew into one of the most powerful executives in the music business. “I watched artists love him, confide in him, want to hang out with him, appreciate his point of view and ask his advice,” Greenwald, co-chair of Atlantic Records, said in an interview. Google offers resources Cohen has never had before. He oversees a team to collaborate with musicians, run by entertainment lawyer Vivien Lewit, and another for labels, managed by former Warner executive Stephen Bryan. A few artists have received money to pursue a passion project or a half-baked idea. YouTube gave Oakland, California, rapper G-Eazy a few hundred thousand dollars to produce a program about the the release of his record and the on-sale date of his tour. The show, “Overtime,’’ debuted last month. 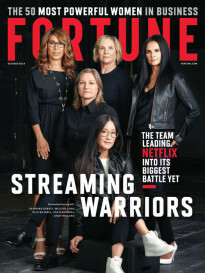 The strategy has already netted a couple of big wins, produced by YouTube’s original programming division under former MTV executive Susanne Daniels. Former teen idol Demi Lovato credits a YouTube documentary with boosting sales of her latest album, and a follow-up project is under discussion. Pop star Katy Perry can thank YouTube for hosting a four-day live stream Time magazine cited as one of the year’s 10 best TV shows. 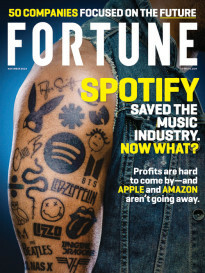 Spotify and Apple have also hired former managers or label bosses to work with artists, and those executives have begun to take credit for breaking acts. These efforts are met with mixed reactions at record labels that see the potential for YouTube to marginalize them even as they provide more visibility for their artists. Some label executives accuse Cohen of bypassing them and going directly to artists, a claim he denies. They also look askance at parent company Alphabet Inc.’s investment in two music startups that are attempting to upend the traditional record business — Kobalt and UnitedMasters, run by Cohen friend Steve Stoute. And labels argue they perform essential functions for artists that a big technology company just can’t provide. “It’s great to give a band $500,000 to make a video, but who will deal with the singer when he takes too much LSD or when the stream count goes down?” said Charles Caldas, the head of Merlin, a collective of independent labels. Nevertheless, all three major music groups have now signed long-term deals with YouTube and pledged to support the paid service. Subscribers will be able to listen to millions of songs on-demand, much like on Spotify, and access exclusive material, including videos and some songs that aren’t available for free. YouTube hopes to introduce the service in the first half of the year.